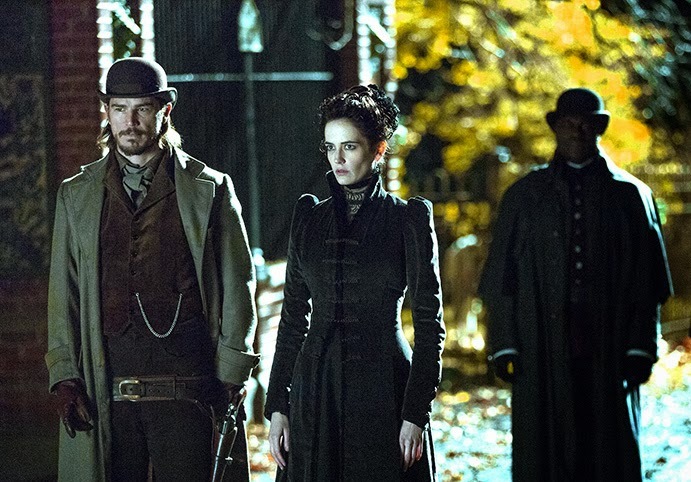 With Showtime's Penny Dreadful now scheduled to premiere on 11th May, we take another look at the upcoming "psychosexual" horror TV series with the release of yet another teaser trailer this Undead Monday. Just last week, we took another look at Showtime's upcoming “psychosexual" horror series, Penny Dreadful, with the release of a new teaser trailer and official image. With Showtime now confirming the premiere date of the much-anticipated series created and written by John Logan with director Sam Mendes himself on board as the Executive Producer, a new teaser trailer has been released to give us a first glimpse of Josh Hartnett and the cast of classic horror characters we can expect to turn up in the eight-episode series that also starred Eva Green, Timothy Dalton, and Billie Piper. With no further ado, hit the jump to check out the trailer. Some of literature's most terrifying characters, including Dr. Frankenstein, Dorian Gray and iconic figures from the novel Dracula –are lurking in the darkest corners of Victorian London. PENNY DREADFUL is a frightening psychological thriller that weaves together these classic horror origin stories into a new adult drama. Penny Dreadful is set to premiere on 11th May 2014.